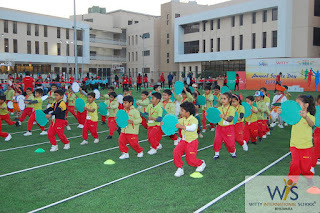 Sports and athletics have been an integral part of all Witty International School for years immemorial. 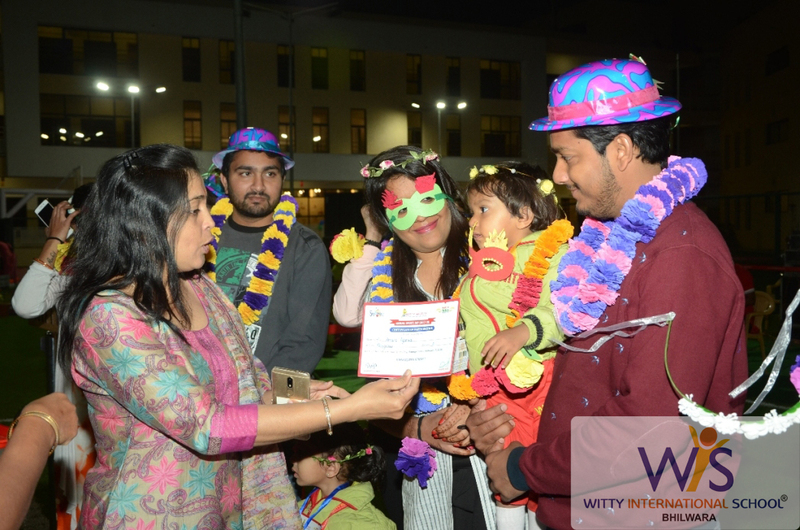 Keeping up the tradition, this year too, Witty International School, Atun Road,Bhilwara organized SYNERGY - Annual Sports Meet 2017-18 based on the theme-Make In India with a flamboyant spirit on the 2nd of February, 2018 at the school ground upholding this aspect of sporting events. 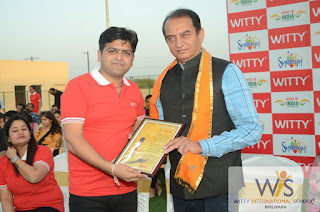 The occasion was graced by Dr Laxman Singh Ranawat, Ex Executive Director National Institute of Sports Patiala and Vice Chancellor of Rajasthan Sports University. 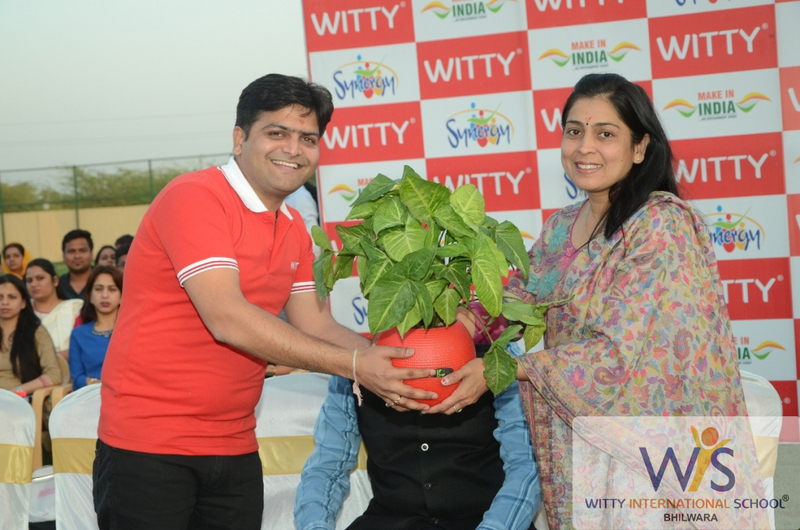 He is an admirable personality in the field of Sports motivating our Wittians to discover their hidden talent in this field and Mrs Nimisha Gupta (RAS) settlement officer of revenue department, Bhilwara. 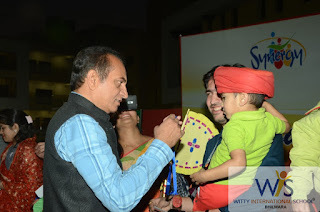 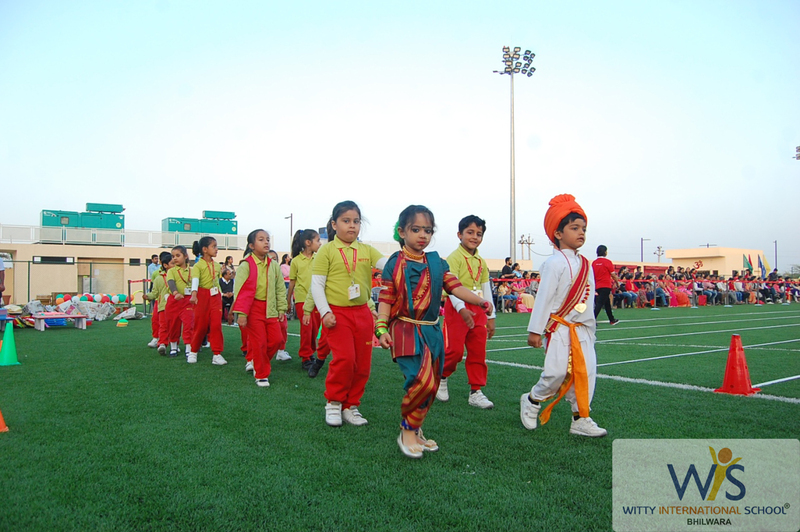 The event commenced with Welcome Walk by the students of Nursery to Sr.Kg. 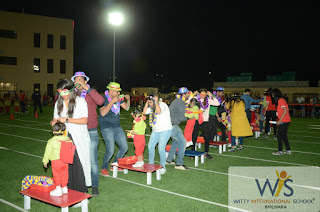 of Witty World Branch. 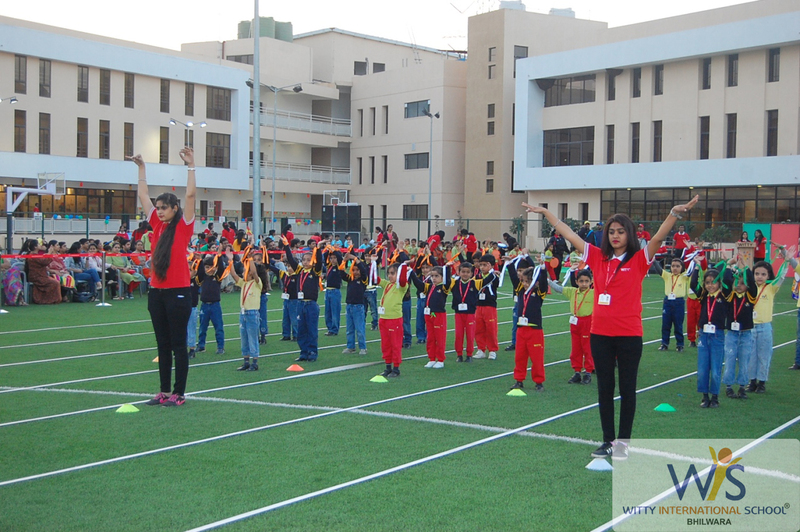 On the arrival of the torch, the oath was taken by the students and they solemnly pledged to uphold the spirit of true sportsmanship. As a part of Opening ceremony, our Chief Guest for the day released balloons to mark the expression of joy and rejoicement declaring the Sports Meet open. The collective heart beats of hundreds, the cheers and applauds reached the ears making the wonderful evening fill with excitement and fervour. 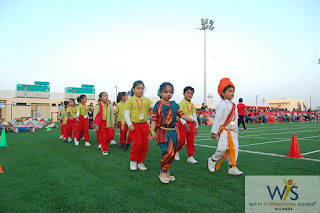 The most intriguing aspect, embellishing the event, were the splendid field displays, involving mass student participation, which included Mass Drill by the students of Grade Sr.Kg. 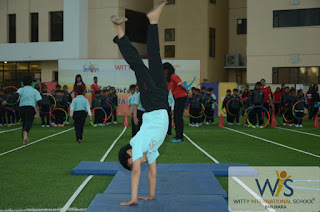 of R.C.Vyas Branch, Gymnastics by the students of Grade I & II of Atun Road branch, Hoola Hoop drill by the students of Grade I & II of Atun Road, Branch .An energizing exercise drill by students of Witty World branch set the tone for the rest of the event. 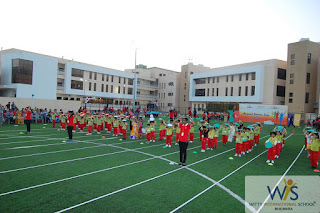 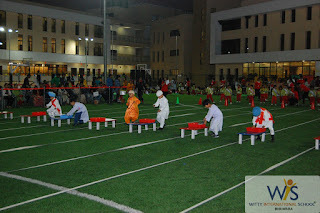 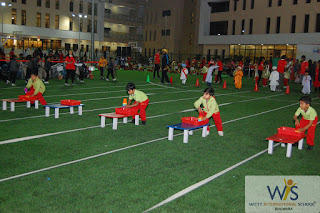 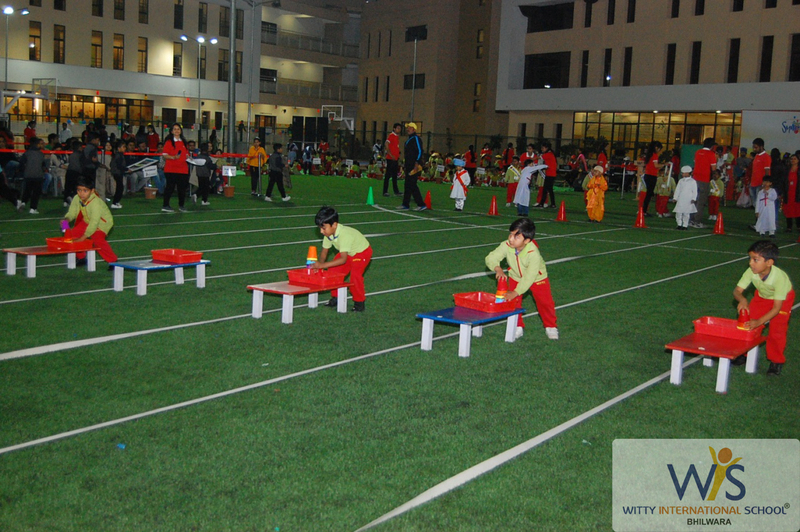 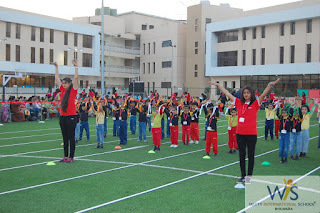 The much anticipated races for both boys and girls were organized for the students of all the three branches. 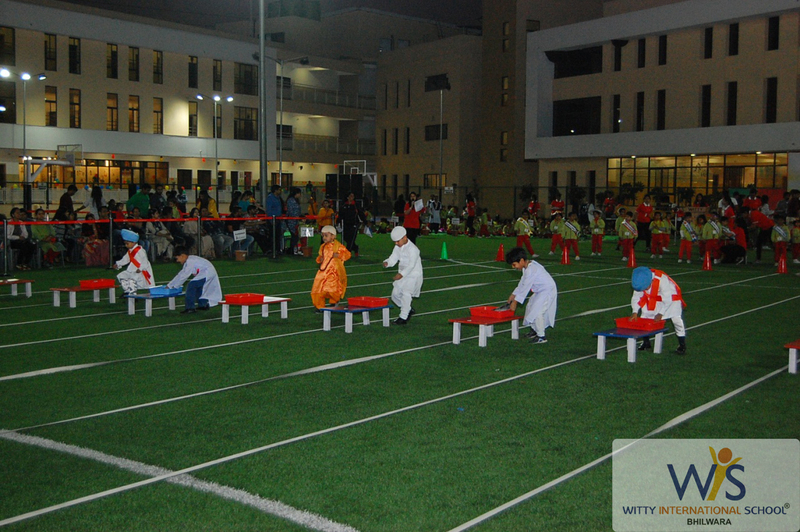 Once the races began, the air was filled with cheering and tons of encouragement for the young athletes. 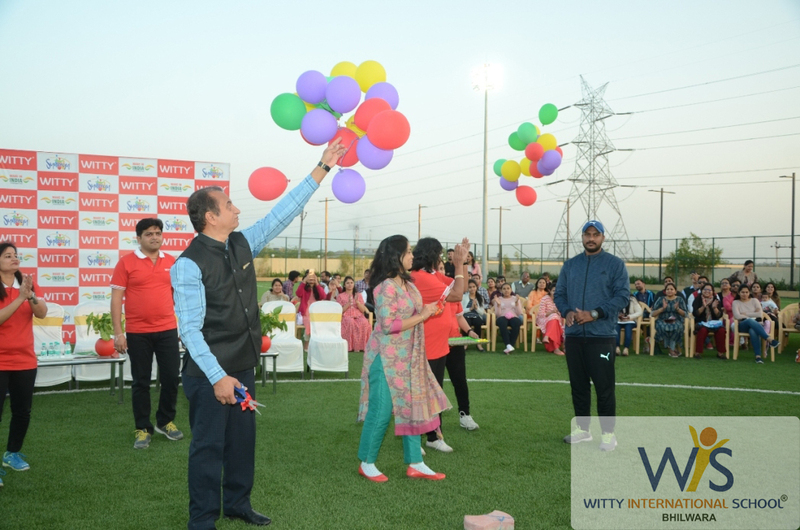 The collective intake of the Wittians and the sudden outburst of cheers were amongst the best feeling one could ever hope to experience on that very day. 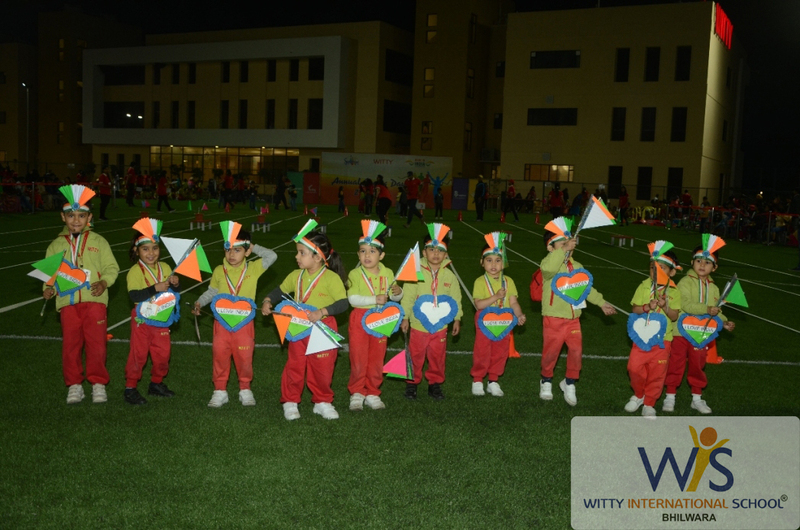 It was an exciting day for the Wittians filled with lots of nostalgic memories of the eventful and educational day. 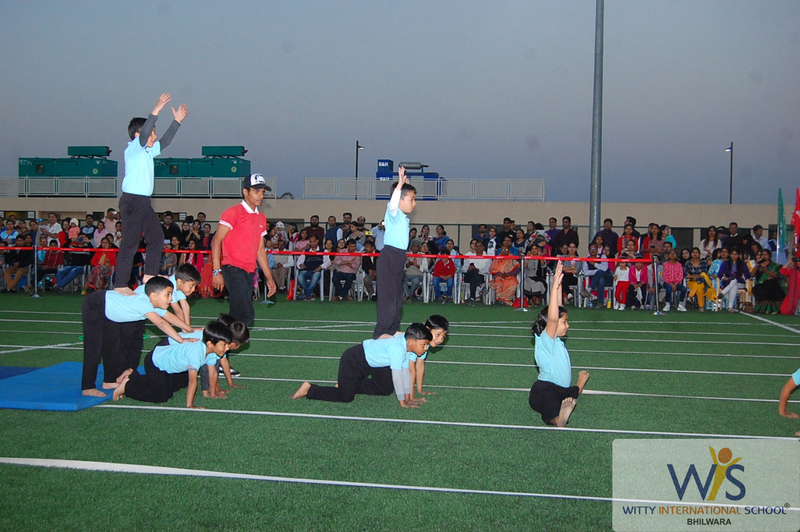 It highlighted the importance of the sports and a sporting spirit amongst them. 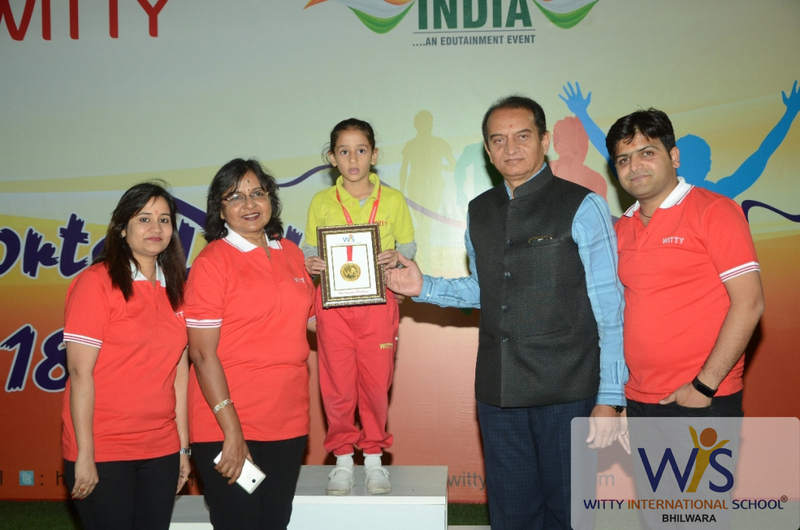 Students were felicitated with medals and achievement certificates for their best performance in all events. The Meet saw its culmination with the National Anthem. 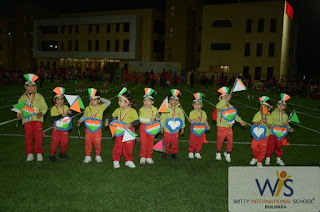 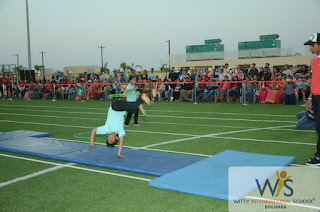 The Annual Sports Meet was yet again another great success and a very enjoyable day for our Wittians.